The Online Casino Bluebook (http://www.OnlineCasinoBluebook.com) referred to from here on as the site, is an entertainment only website that provides information for the sole purposes of entertainment and research. 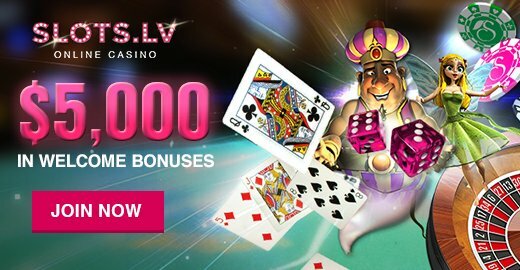 The information that is on this site does not imply, specify or suggest that this site provides any form of online gambling or means to gamble online. No promise of guarantee is offered nor is it suggested and visitors to this website should understand that site does not warranty any information about third party companies or websites. This is to say that the site entirely reserves the right to display information that may be changed at any time which will include the policies, this disclaimer or any of the pages, reviews or other information on this site. The factual accuracy of this site may change dependent upon third party website and their policy changes or modifications made to their offers. The accuracy of the data which is on this site, while updated and confirmed at the time of posting may change and could be found to be incorrect at a later date. This site does not offer in any way, a warranty regarding said, posted information. Visitors acknowledge that the information located on the site is offered as-is. Visitors to the site also acknowledge that this site may have links to online casinos, online poker rooms or other online gambling facilities. Some of these casinos may offer real money wagering, and visitors must understand that money can be lost when playing at such establishments. This site believes that gamblers that feel they have a problem habit should seek the counsel of experts. Gamblers Anonymous is one vital resource on the internet for problem gambling assistance. Please also note that if you do have a gambling problem, we kindly ask you to leave this site and understand that you are no longer permitted to use this site. This site does not suggest that anyone participate in online gambling. This site does provide a marketing service to a select group of clients that may work for operators of an online casino. This service arrangement is in the form of affiliate services to our client (the affiliate program). This site does not deal directly with the online casino but instead conducts business with a 3rd party affiliate management company. This site in no way endorses or condones, promotes or advises that citizens or residents of the United States participate in online gambling. Each bettor or user agrees that he and or she is Solely and Fully responsible for complying with the ordinances and laws of there jurisdiction. Areas that prohibit gambling by law, those players show only play free and should not utilizes real money game play.